The Donkey King is having us all in surprise with each passing week. Film not just has become highest grossing animated film but has also emerged as second highest grossing non-holiday Pakistani film ever, following Teefa In Trouble. 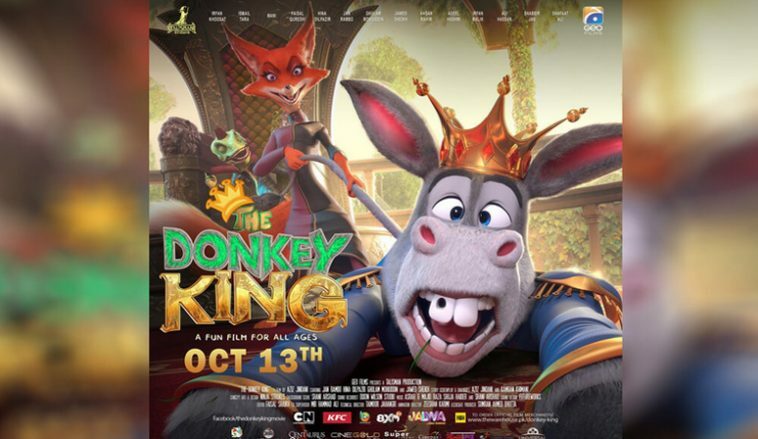 Not just this, The Donkey King now holds the record of biggest fifth week for any film to release in Pakistan and that includes all the big budgeted and blockbuster films of hollywood, bollywood along with our local biggies. Film has earned 1.9 crore over its fifth week, taking the total collection of five weeks to 18.65 crore. Film has again bagged huge number of shows at all leading plexes and by looking at this trend at box office, it seems like film will cross 20 crore mark in its sixth week which will again be a huge record. All figures in Pakistani rupees.